Another BOOTS paper doll that I have previously posted. I left her uncolored this time. 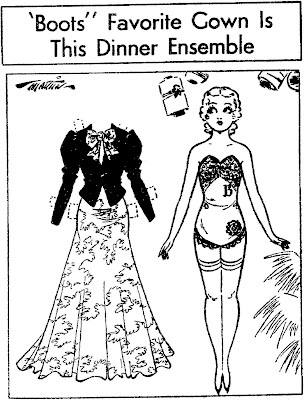 This paper doll appeared in newspapers in May of 1937. Many thanks to Edgar Martin.